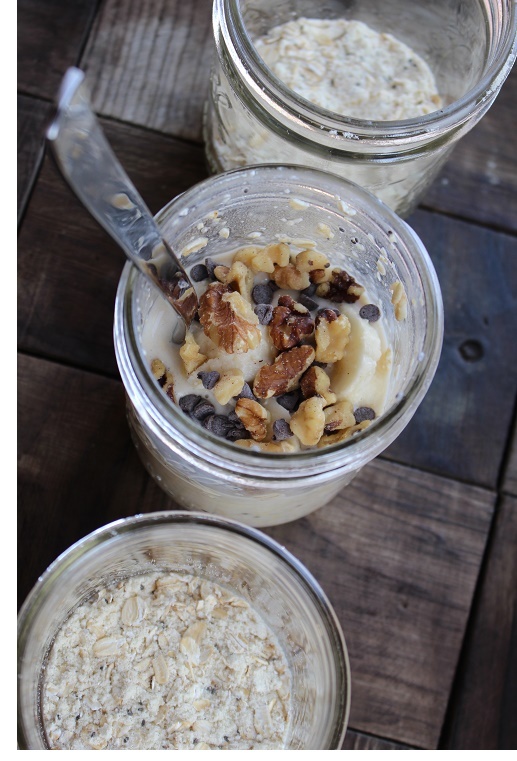 Mix all dry ingredients in Mason jar and place in the pantry until your ready to use the next morning. Pour milk and fruit in Mason jar and shake well, ensuring all ingredients are mixed. Place in fridge for a minimum of 4 hours and enjoy!